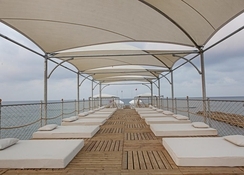 The Long Beach Resort Hotel & Spa, located on the picturesque Turkish Riviera, sits on a stretch of golden sands, facing the beautiful blue waters of the Mediterranean Sea. 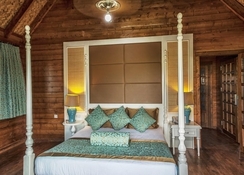 The stunning all-inclusive 5-star property is an ideal choice for couples and families, who can choose from 748 rooms, including 48 pool villas and 24 chalets, overlooking a lush garden. Enjoy long walks on the sands, play beach volleyball and tennis, explore charming villages and dig into sumptuous Turkish cuisine. 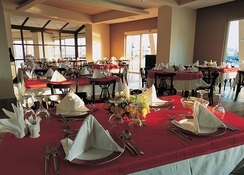 Feast on an array of dishes, snacks and beverages from a total of 11 bars, which include the Snack Bar and Beer Garden. There’s enough to keep kids busy at Long Beach Resort Hotel & Spa, with an Aquapark where they can fun on water slides, live animation shows, a theme park, mini golf course and more. 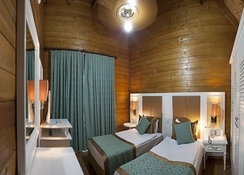 Adults can also look forward to the luxury of the Jacuzzi as well as the indoor and outdoor swimming pools. 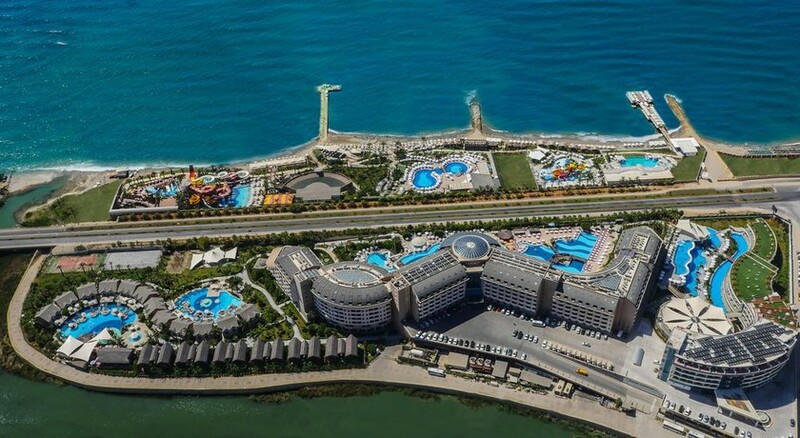 Long Beach Resort Hotel & Spa sits pretty on a private golden beach, next to the Mediterranean Sea in the İncekum region, about 20 km from Alanya, 5 km from the city centre and 90 km from Antalya Airport. The nine-storeyed Long Beach Resort Hotel & Spa, spread across 75,000 sq m, offers a total of 748 rooms, including 24 chalets and 48 stunning villas with private swimming pools and patios. 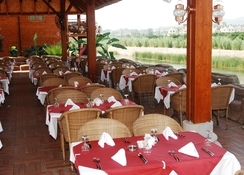 Long Beach Resort Hotel & Spa offers a wide choice of dining options, with the main restaurant, where you can plan your breakfast, lunch and dinner, besides a la carte restaurants serving Italian, Chinese, Mexican, seafood, and Ottoman dishes. You can also order room service from any of the 11 bars onsite, such as the Waterfall Bar, Amphi Bar and Wine House or drop by for at the Coffee House. If you’re at the beach, get served by the Snack Bar or spend the day lounging at the Beer Garden, munching on fast food while you enjoy the stunning Mediterranean view. When you’re not lounging soaking up the sun on the sands, you can play beach volleyball, unwind at the spa, get a game of tennis or dance the night away at the disco. 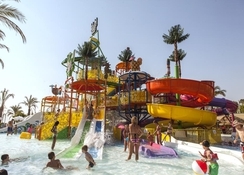 There’s ample entertainment for kids too, with an impressive Aquapark that offers 11 water slides, a Pirate Ship, theme park, mini football and golf court, mini clubs and live animation shows. Late dinner cold cuts served from 22:30 till 00:00 in the Main Restaurant;Must be reservedin advance.